When my friend, Stephen, turned 30, I asked him what he'd like me to make for his birthday party, and he replied, "I am a fan of all types of cookies." 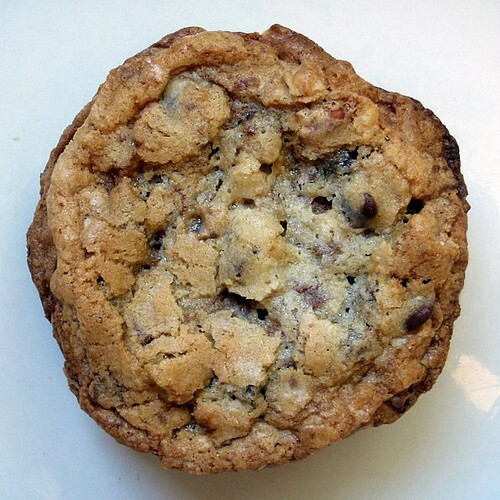 Which was great, because I've been wanting to make Momofuku Milk Bar's Compost Cookies for a long time now, but I kind of needed the right occasion to make them because there was no way I was going to be able to eat them all by myself. And these cookies deserve an audience. Sure, the name might cause people to pause, but I'm guessing the reason behind it is that you throw a little bit of everything into these cookies: potato chips, pretzels, chocolate chips, etc. 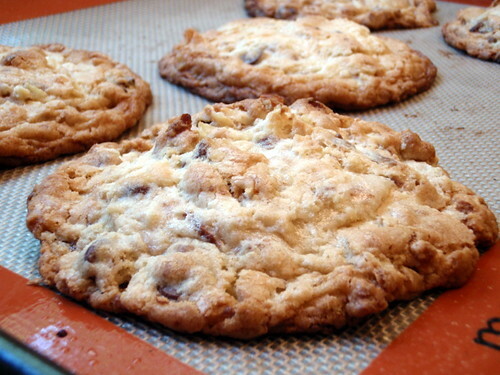 If you're a fan of the sweet and salty, you'll love these cookies. I ended up making a batch of the 6 oz. cookies and a batch of cookies where I portioned out the dough into 1" balls, which ended up giving me about 50 "normal" sized cookies. And to save time, I alternated between using a parchment lined stoneware baking sheet and a silpat lined metal baking sheet, both of which worked well in protecting the cookies from getting burnt. 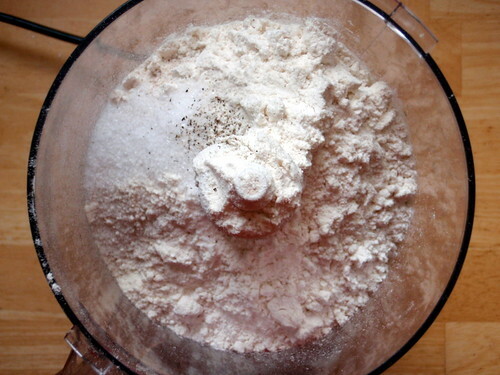 When time is up, add the flour, baking powder, baking soda, and salt. 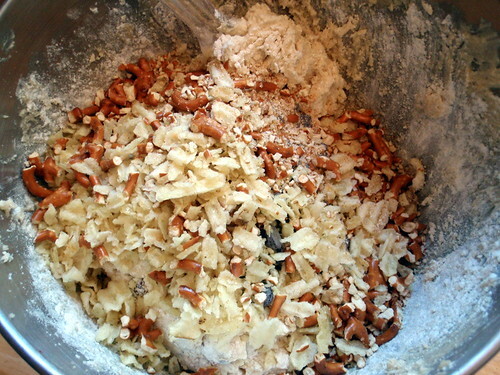 Mix by hand just until your dough comes together and all remnants of dry ingredients have incorporated. Scrape down the sides of the mixing bowl with a spatula. 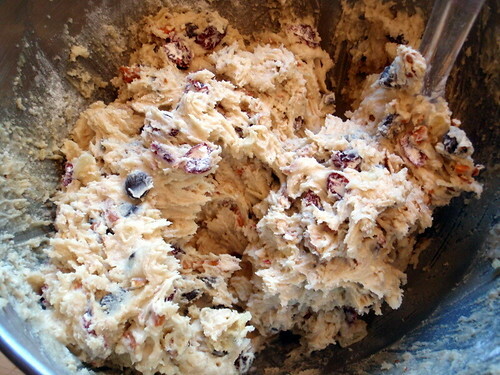 Add in the hodgepodge of your favorite baking ingredients and mix until they are evenly incorporated into the dough. 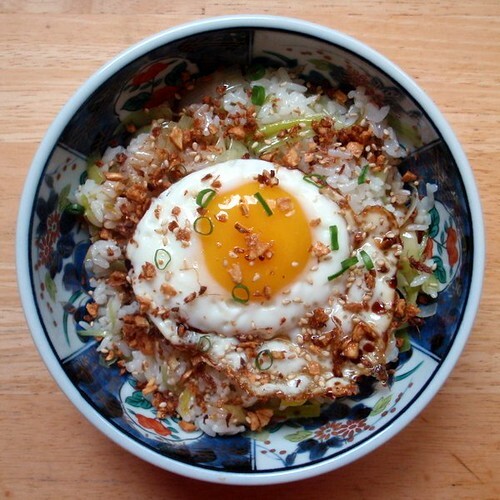 Add in your favorite snack foods last, until they are just incorporated. 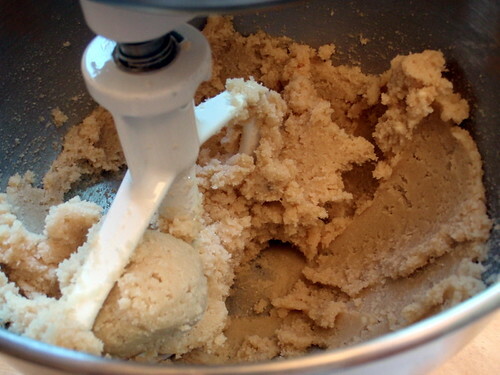 Portion cookie dough into 6 oz. mounds onto a plate. 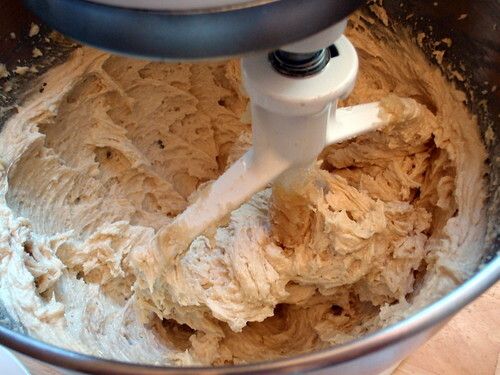 Wrap portioned cookie dough tightly with plastic wrap and refrigerate for a minimum of 1 hour or up to 1 week. Preheat the conventional oven to 400°F. When the oven reads 400°F and your cookie dough has been chilled at least an hour, roll the cookie dough mounds into balls and arrange on a parchment or silpat-lined sheet pan a minimum of 4" apart in any direction. Bake 9-11 minutes. While in the oven, the cookies will puff, crackle and spread. 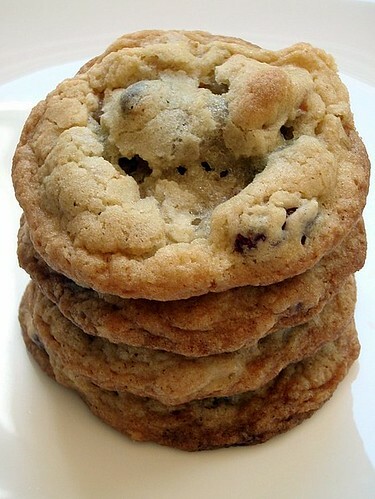 At 9 minutes the cookies should be browned on the edges and just beginning to brown towards the center. Leave the cookies in the oven for the additional minutes if these colors don't match up and your cookies stills seem pale and doughy on the surface. Cool the cookies completely on the sheet pan before transferring to a plate or an airtight container or tin for storage. 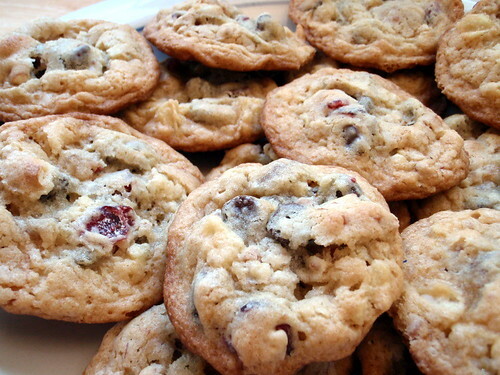 At room temperature, cookies will keep fresh 5 days. In the freezer, cookies will keep fresh 1 month. I made this a while ago before this blog was born and really liked it so when my stash of pears from Boston Organics started building up, I thought it was high time to make this again. The original recipe from Martha Stewart has directions for how to make this without an ice cream maker, but seeing as how I have one, it seemed silly not to use it. In a medium saucepan, bring wine, 1 1/4 cups water, and sugar to a boil over medium heat, stirring often, until sugar dissolves. Add pears; reduce heat, and simmer until tender. 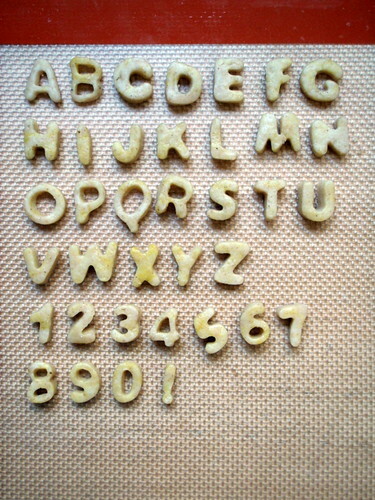 Stir in lemon juice and a pinch of salt; cool completely. 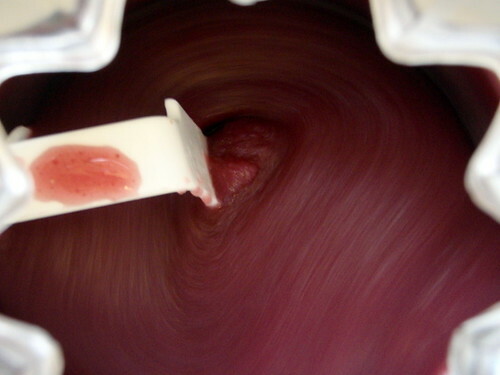 Transfer to a blender or use an immersion blender to puree the mixture. Chill thoroughly in the refrigerator for several hours or overnight. Once chilled, churn in your ice cream machine according to the manufacturer's directions. 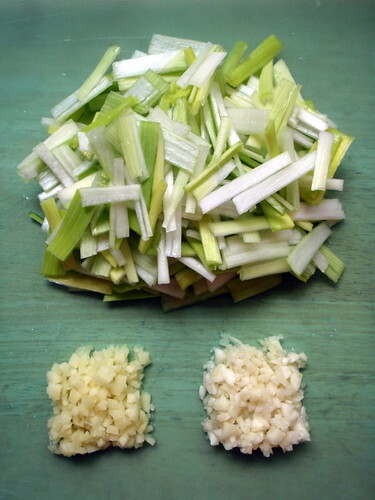 Transfer to a container, cover, and freeze overnight or for several hours to harden. Although the original recipe said it would only take 5-10 minutes, I ended up having to cook the pears for over 20 minutes before they were tender. This may have been because I used one Bartlett pear and one green pear instead of just Bartlett pears like the original recipe said. 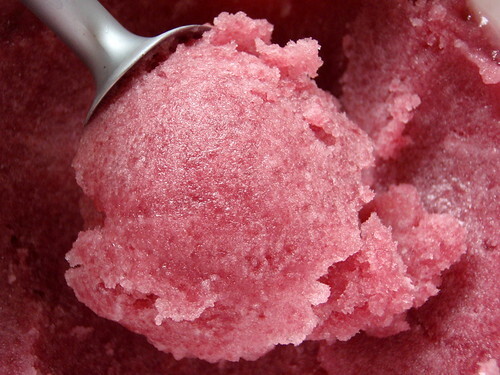 Because I was cooking the mixture for that long, I figured I would have boiled off most of the alcohol, but there was still enough left to make this a pretty soft sorbet. It's also kind of gritty in the way that pears are naturally gritty. Not a bad thing, but if you don't like the texture of pears, you might want to pass on this recipe. But if you like poached pears, you definitely need to try this out. It tastes elegant and sophisticated, like something that should be served in a goblet vs. a normal dessert bowl. 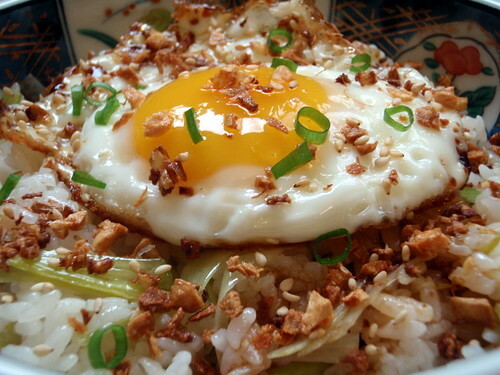 I would totally serve this as a palate cleanser or at the end of a heavy dinner of say, steak. 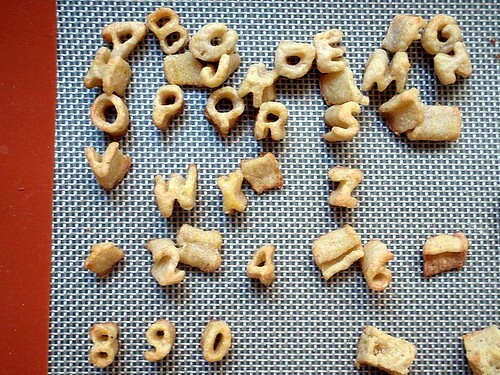 I love Pepperidge Farm Goldfish crackers, so when I saw this post on how to make your own, I was really excited to try it out. 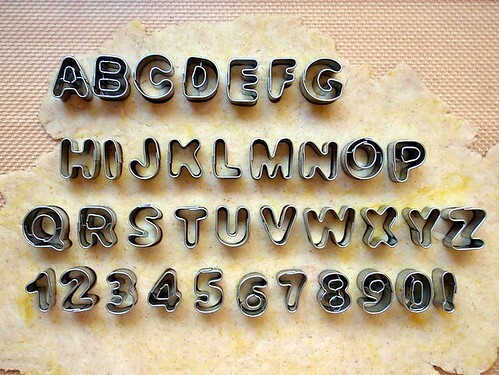 I don't have any teeny, tiny goldfish cookie cutters, but I do have rather small alphabet fondant cutters, so I thought it'd be fun to make alphabet crackers. I'm used to the bright orange color of the original crackers, so I wanted to find some bright orange cheese to use, but I couldn't find any. 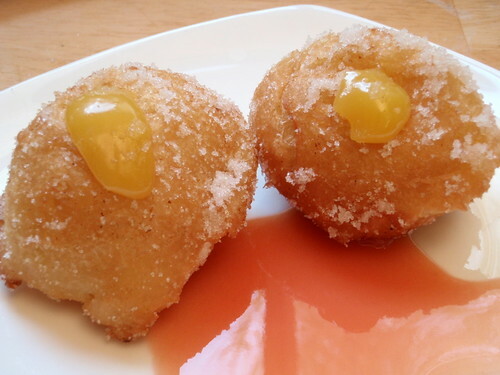 So I tried the next best thing and added some yellow food coloring to half the dough since I don't have any orange food coloring, and didn't want to end up with a peach color like I did the last time I tried mixing red and yellow. But the dough was too stiff coming out of the fridge, and I didn't have the patience (or the daylight left) to knead it through properly, so it ended up looking kind of marbled. Which is fine because you can't even tell in the finished product, and ironically enough, the non-yellowed crackers turned out more orange-ish! 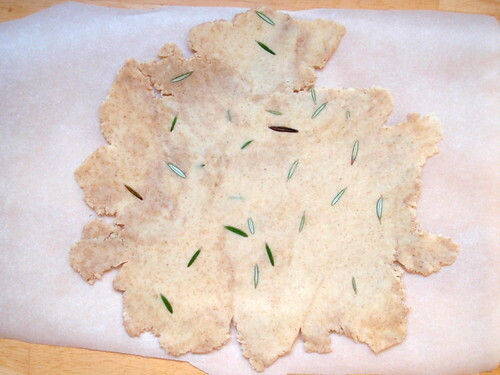 While the dough was chilling overnight in the fridge, I remembered that I still had some fresh rosemary left from making the duck fat French fries and thought it'd be nice to add some to the cheese cracker dough. So I added some rosemary leaves to the other half of the dough (after all, rosemary cheddar crackers are for adults and don't need artificial food coloring). 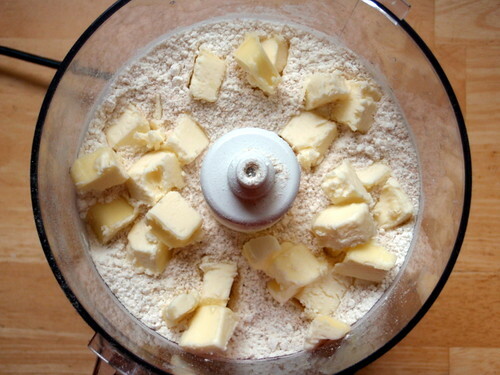 Pulse the flour, salt and pepper in a food processor, then add butter and pulse until the mixture resembles coarse meal. 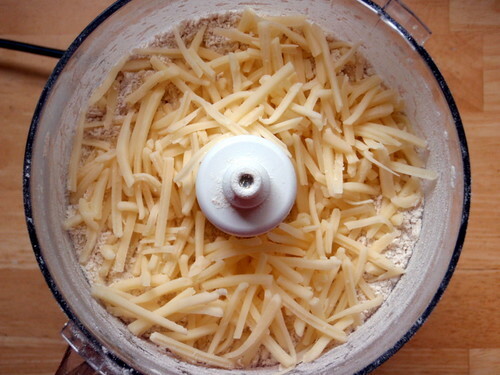 Add grated cheese a little at a time until the mixture again resembles coarse meal. 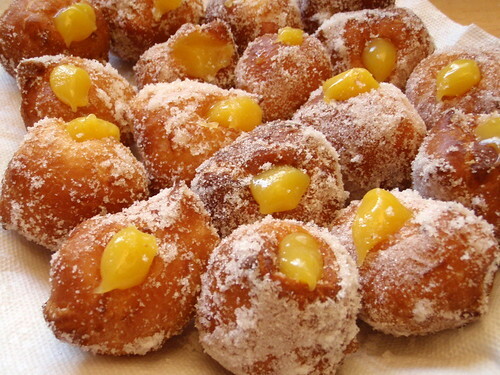 Pulse in 3 to 4 tablespoons of water, one tablespoon at a time, until the dough forms into a ball. It will probably take a minute or so. 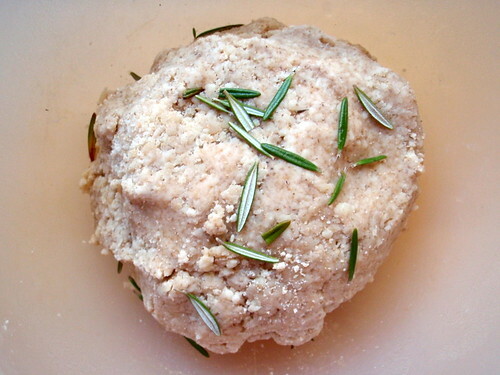 Remove from the food processor and knead in the rosemary. 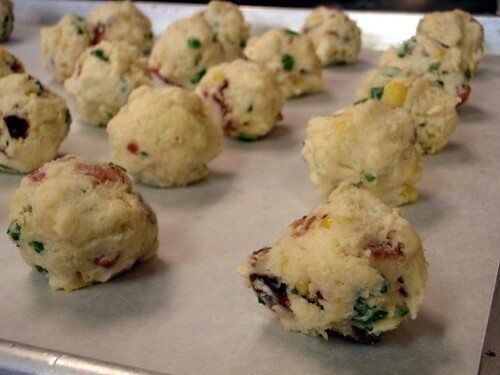 Wrap the dough in plastic wrap and chill for 20 minutes or up to 24 hours. 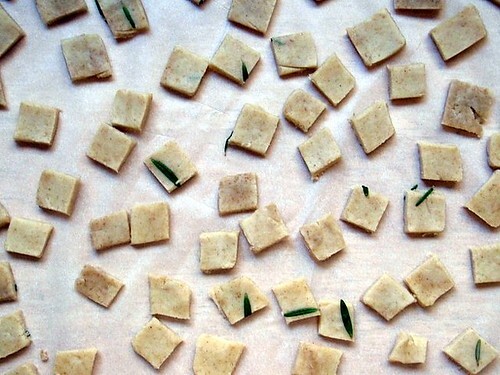 Roll the dough out to 1/8th-inch thickness directly onto a baking sheet. 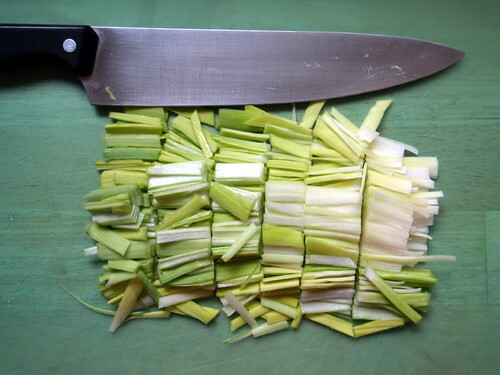 You don't want to roll them paper thin, neither do you want to roll them too thick. If they are too thin, they will not puff up as much. If they are too thick, they will not be as crispy. 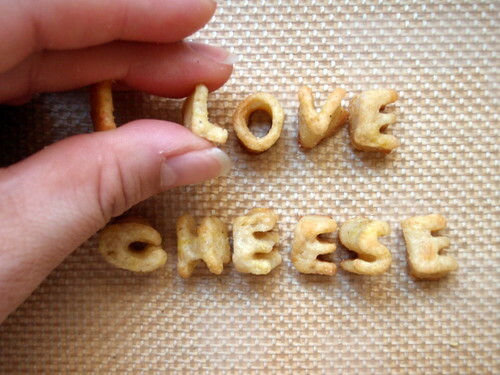 Using a knife, pizza cutter, or cookie cutters, cut into desired shapes. 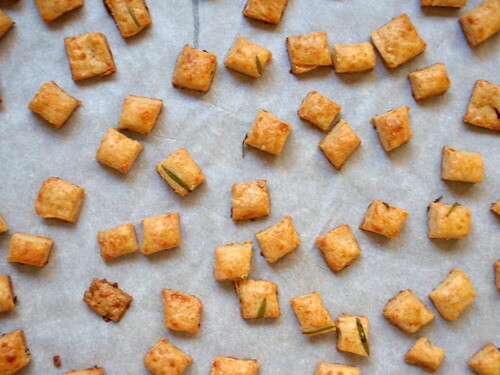 Bake at 350° F for 15-20 minutes or until crackers are golden brown. Watch them after the 10 minute mark. I didn't roll the dough out as thin as I should have for some of the crackers, and they were definitely not as crispy as the thinner ones. 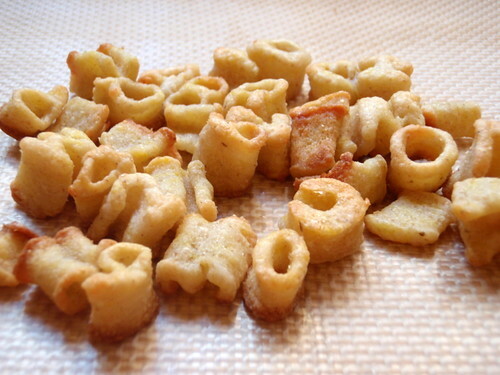 They did puff up so that they were almost cubical, though, so I threw them on top of a salad because as someone pointed out, they looked just like croutons. I don't think these tasted exactly like Goldfish crackers, but that's because they don't taste like something you can buy in a store. Which is to say, these tasted like the fresh ingredients they were made out of. I definitely preferred the rosemary crackers to the ones without; the herb added a nice aromatic, almost astringent note to the richness of crackers. Next time I might try adding a bit of Tabasco sauce to the dough to add some heat. 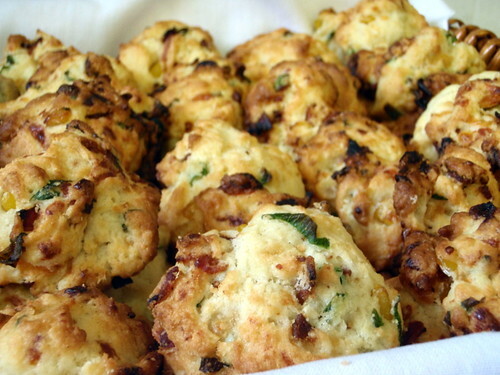 Lastly, you can make this using only all-purpose flour or only whole wheat flour. I tried using half all-purpose and half white whole wheat and will probably try all whole wheat next time since it doesn't seem to make a huge difference. For Easter this year, my church wanted to serve scones for Soul Cafe. Two thousand scones, to be exact. And thanks to everyone's help, we made two thousand one hundred and twelve! *To make candied bacon, sprinkle brown sugar over bacon slices and bake at 375°F until crisp. 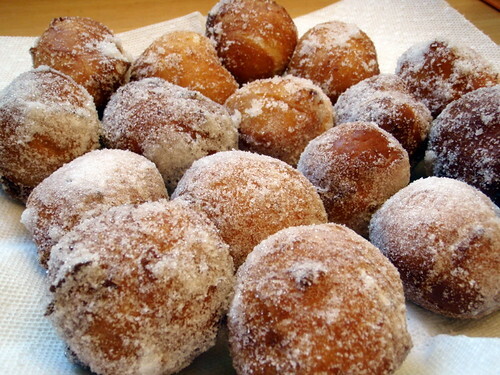 Combine flour, baking powder, salt, and sugar. Cut the cold butter into small pieces and then press into the dry mixture until the texture is like corn meal. 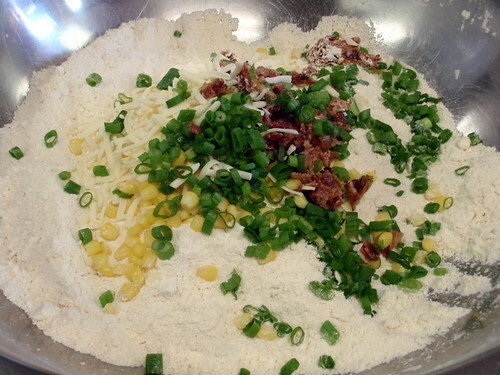 Mix in the bacon, corn, cheese, and scallions. 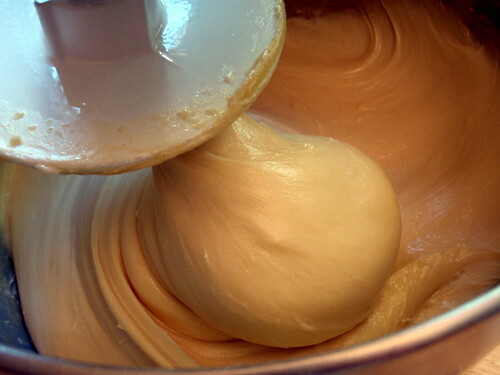 Add heavy cream and mix just enough to form a dough. If you have the time, stick this back in the fridge to chill. Line a large baking sheet with parchment paper. 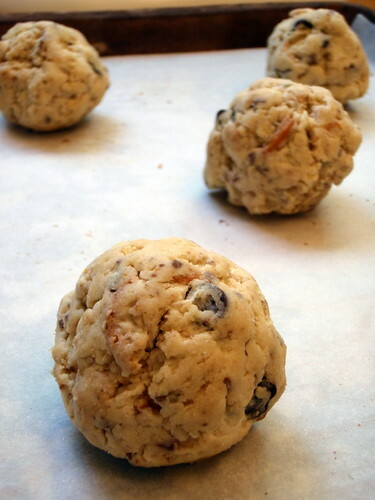 Drop rounded tablespoons of the dough onto the sheet, leaving at least 1" between scones. Bake for 10-12 minutes or until golden brown. 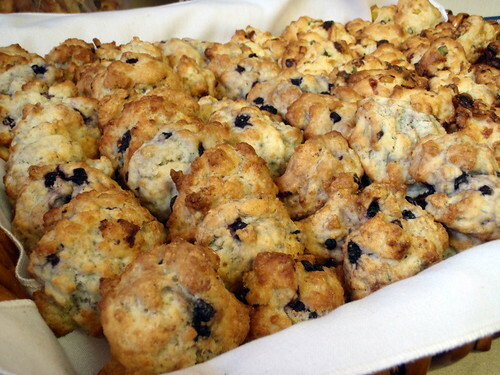 We made the scones pretty small because we wanted to be able to feed everyone, but you could definitely double the size of these if you wanted larger scones. Just make sure you increase the baking time appropriately.